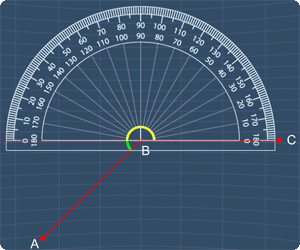 Use a protractor to measure ∠ABC as shown in the picture below. Print out this page if you need to. 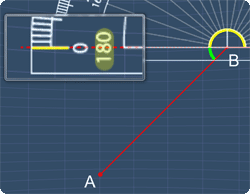 First, we can split the angle into two parts by drawing a dotted line along the line BC. Here, we know that we can get ∠ABC by adding these two angles together. 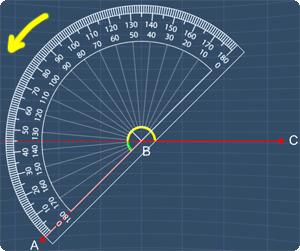 By reading the inner scale, we can see that this angle is 180°. 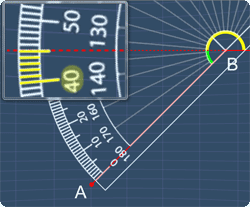 By reading the outer scale, we can see that this angle is 45°. Hence, we can get ∠ABC by adding 180° with 45°.